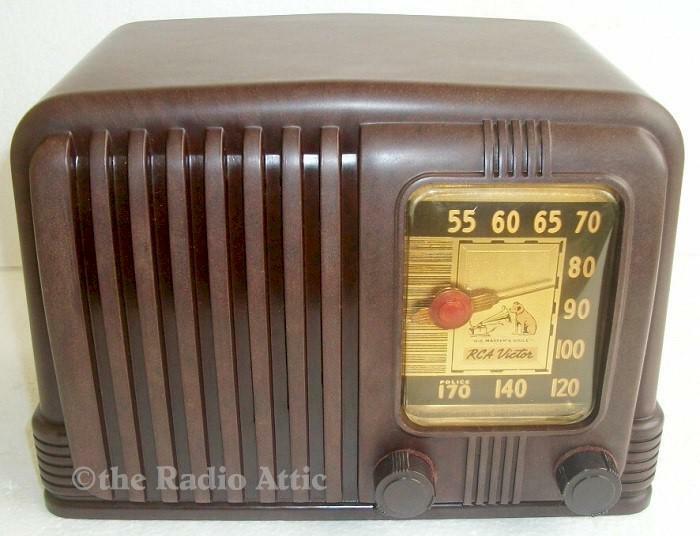 This radio has been electronically restored, all circuits are working perfectly. For a small size set this radio has the power. It has a large wire-wound antenna for good reception. The molded Bakelite case is in very good condition, no chips, cracks or scratches, it's in great shape. I have replaced the old power cord with a new one. 9-7/8"W x 6-7/8"H x 6-3/4"D.
You are visitor number 1,742 to this page.